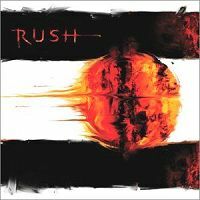 It’s been well over five years since this band’s last outing, Test For Echo (1996), but the Canadian trio of Geddy Lee, Alex Lifeson and Neil Peart have made a stunning return with possibly their strongest album ever. The first thing you will notice is the complete lack of keyboards, and it’s only by the end that you realise there’s also very few proper guitar solos – and no instrumental track at all. Vapour Trails took a whole year to write and record, with Rush working at a more leisurely pace than usual. However, the result, by anyone’s standards, is a range of exceptionally high quality material (13 tracks) in sufficient quantity (a busy 67 minutes) to have been worth the long wait. One Little Victory opens with a stunning drum roll intro, and has all the Rush trademarks of first class musicianship but, for me, at least, they don’t really show us what they can do until second track, Ceiling Unlimited. This is the one that let’s everybody know they’re back (“If culture is the curse of the thinking class”)! Lifeson and Lee’s guitars blast out with greater energy than I’ve heard since their old style heavy metal years evolved into the more progressive rock forms. Ghost Rider is partly informed by Peart’s journeys via bike through Canada, USA and Mexico (read his autobiographical book Ghost Rider: Travels on the Healing Road) and its chorus (“Shadows on the road behind/ Shadows on the road ahead/ There’s nothing can stop you now”) is undoubtedly one of the most haunting tunes that Rush have yet composed. Despite its cryptic traditional ‘fantasy’ lyrics, Peaceable Kingdom is obviously a reflection on the events of 11th September 2001. If you miss those references, note that the basic visual motif for the CD insert and lyrics booklet is Tarot cards, and the page for this particular song has ‘The Tower’ card as a complementary image. There’s often been a science fictional element in Rush’s music and The Stars Look Down recalls the hard-SF truism of an indifferent universe (“Are you under the illusion/ The path is winding your way?”). My favourite track on this CD though is the genuinely heartfelt How It Is, which tackles the difficult topic of depression by sensitively blending Peart’s acutely poignant lyricism – sounding the depths of his own family tragedies (his daughter, and his wife, were both killed in the space of a few months) – with a relentlessly upbeat refrain. Secret Touch is arguably the hardest rocking track here, with multi-layered dynamic riffs and a powerhouse chorus (“There is never love without pain/ A gentle hand/ A secret touch on the heart”), which borrows a line from Joseph Conrad’s 1915 novel of romantic tragedy, Victory. Earthshine is an evocative piece with some excellent acoustic guitar work, Nocturne considers what dreams are, and the rousing final track Out Of The Cradle quotes from great American poet Walt Whitman, with Lifeson’s “Endlessly rocking” classy guitar rhythms supporting Lee’s magnificently soaring vocals, and Peart’s keenly insightful philosophy (“It’s not a race/ It’s a journey”) emerges intact. This is marvellously uncompromising rock music, setting a new benchmark for mature musical ability combined with remarkably intelligent lyrics, and sonic vertical takeoffs that are the envy of NASA. If you have not bought anything by Rush, buy this one. You will never look back.